Data Collected on Site: Still and video photography; site plan; high and low resolutions multibeams; 3-D video, listed on the National Register of Historic Places. 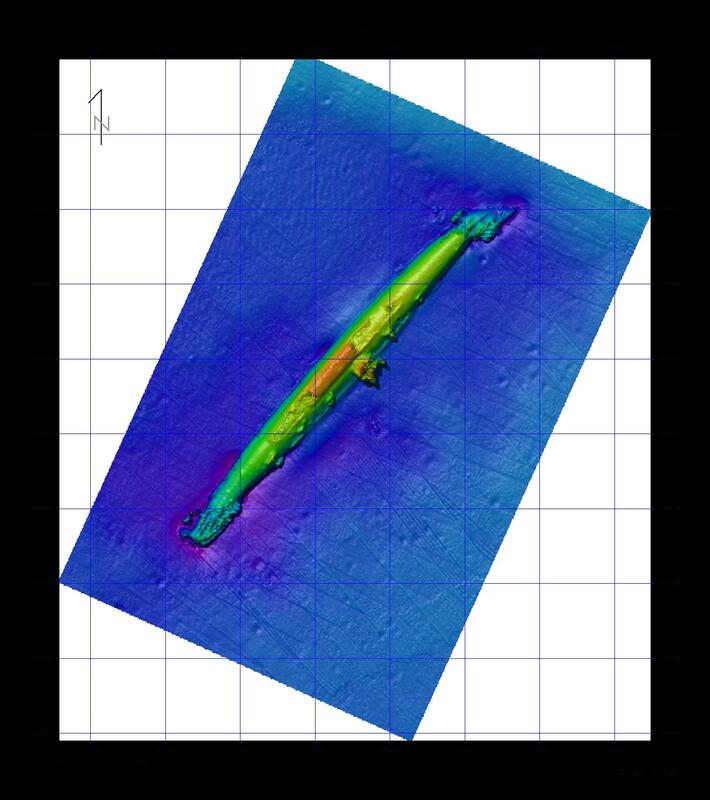 Significance: U-352 is significant to American military history, maritime history and historic archaeology as it was the first U-boat sunk by the United States Coast Guard off the American East Coast during World War II's Battle of the Atlantic. 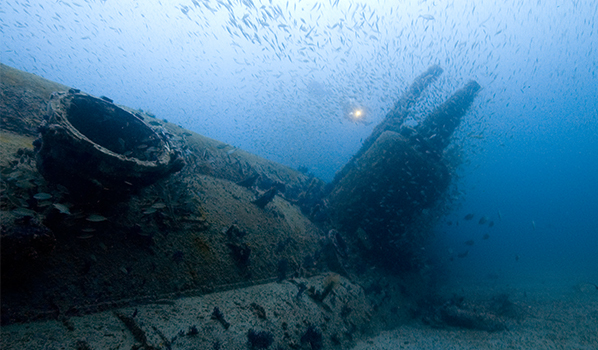 Of the U-boats off North Carolina's coast, U-352 had the least eventful operational career. 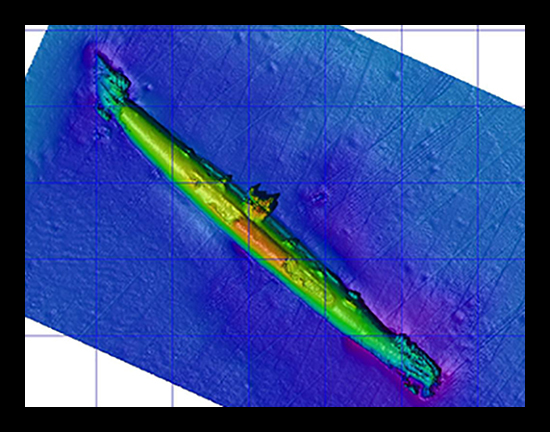 However, the wreck site is likely the U-boat most frequently dived by recreational divers. 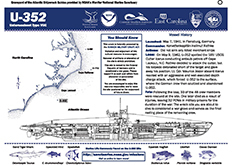 Unlike U-85 and U-701, U-352 rests south of Cape Hatteras, off Cape Lookout in more stable conditions and more inviting Gulf Stream water for the average diver. 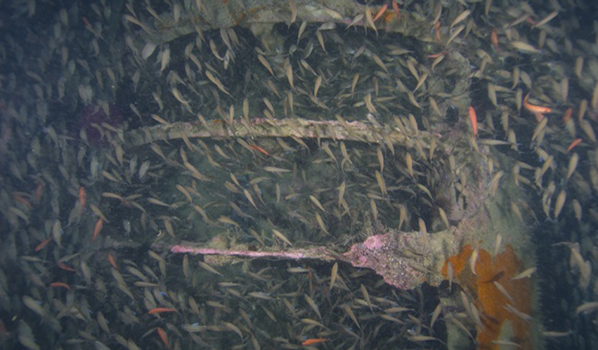 Sea life at the site of U-352 is prolific and typical of a sub-tropical marine ecosystem. The site is heavily encrusted with coralline algae and supports an array of cnidarians, such as sea anemones and corals. Also, on the site, the density of red barbier baitfish and amberjack is such that it often hinders photographic documentation. 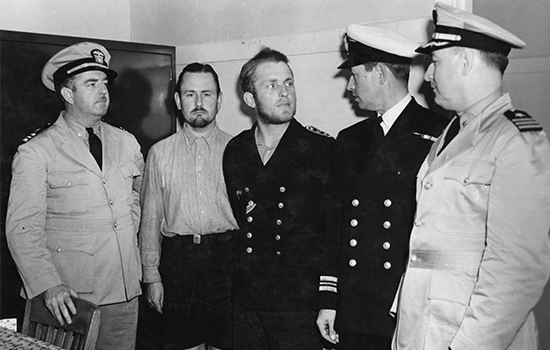 Kapitänleutnant Hellmut Rathke took full command of U-352 on August 28, 1941. In January, U-352 transferred from Kiel to Bergen, and set out for its first patrol on January 20. U-352 was part of Group Schlei and was ordered, along with twelve other U-boats, to converge on an area West of Rockall and to begin looking for convoys. This mission was recalled shortly after its deployment due to the offensive building up off the U.S East Coast. Group Schlei was to return to France and begin preparing for deployment to U.S. waters. 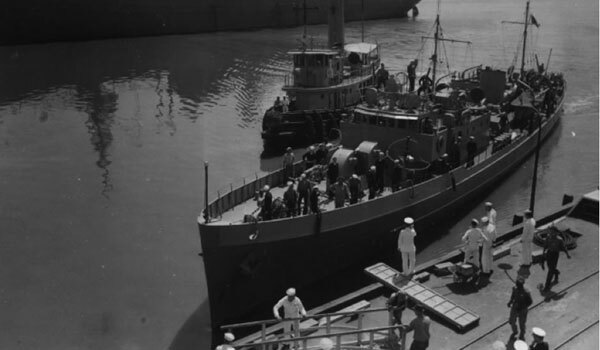 However, U-352 would not be reaching U.S. waters with the rest of Group Schlei. Eight of the twelve boats were redirected to the Faroes Islands in Iceland and Scotland. They spent several weeks at sea, which were largely uneventful. Rathke attempted to carry out at least one attack, but depth charges kept him from being successful. 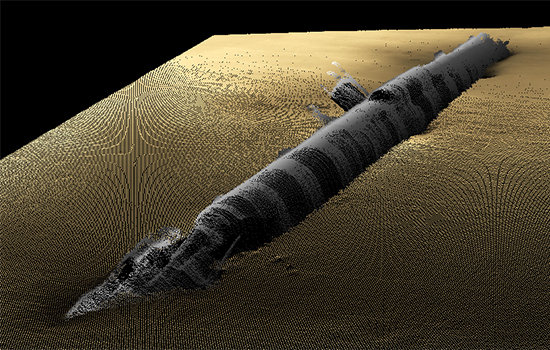 Although, U-352 encountered no serious damage on its first patrol, no ships were sunk either. At the end of February, the vessel retuned empty handed to St. Nazaire. 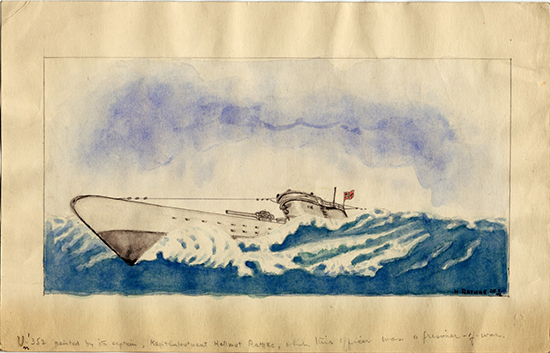 After minor repairs in St. Nazaire, U-352 headed for the U.S. East Coast on April 7, 1942. Beginning on May 5, far out to sea off Cape Hatteras, N.C., U-352 began a game of cat-and-mouse with the Swedish merchant vessel SS Freden. Rathke moved into position twice, each time firing a torpedo from the bow, but each missed. 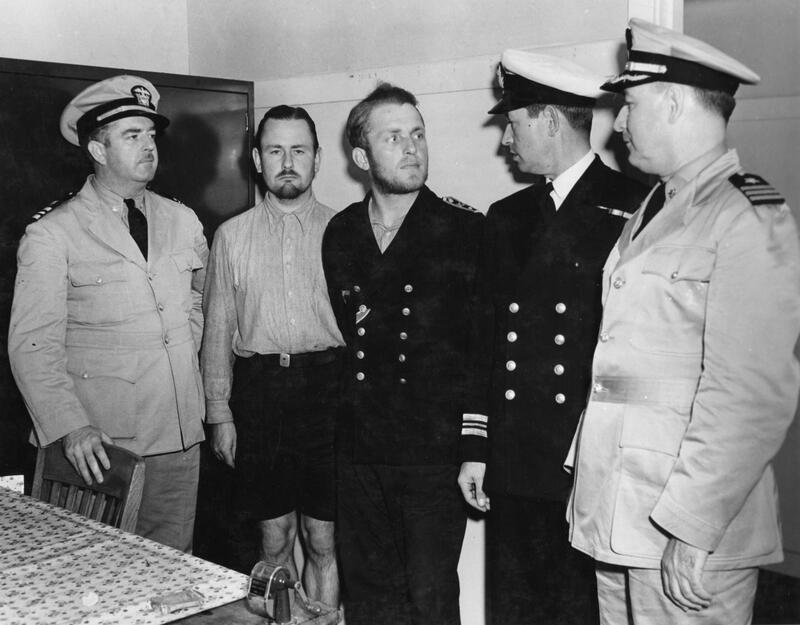 Despite having missed, the crew aboard the Freden believed they would be hit and decided to abandon the ship. When they stopped the ship in order to launch the lifeboats, U-352 passed right by them without notice and somehow lost contact. Meanwhile, Freden was not sinking and Freden's captain ordered everyone back aboard to resume getting underway. The following day, Rathke came across Freden again. Over the next several hours, Rathke got off two torpedoes, both of which missed. However, once again, the crew on Freden panicked and took to the lifeboats. Evidently during the process of launching boats, Freden turned the stern towards U-352 so as to present a smaller target. Rathke mistook this for the vessel running off full-speed and gave up chasing Freden. The Freden crew drifted in their lifeboats all night. 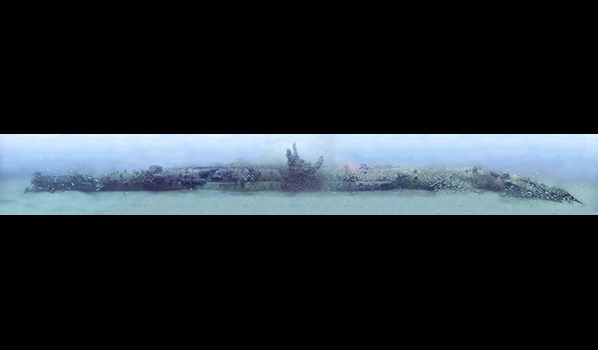 On the morning of May 7, they happened to drift by the completely untouched Freden, reboarded and continued their journey. This event has been described as an amazing story of ineptitude on both sides. 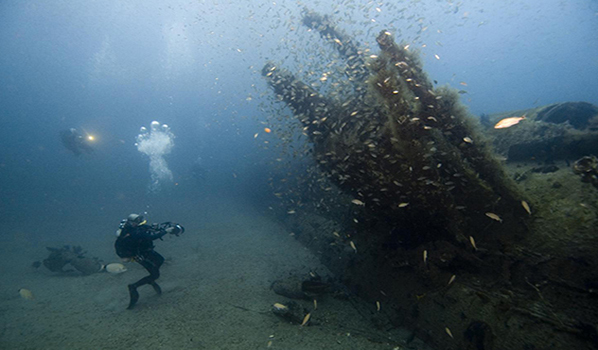 On May 9, U-352 began the engagement that would end in its demise. Rathke spotted Icarus, a 165-foot USCG Cutter, on antisubmarine patrol off Cape Lookout. U-352 closed for an attack. Shortly before Rathke fired his torpedoes, Icarus got a sonar contact. 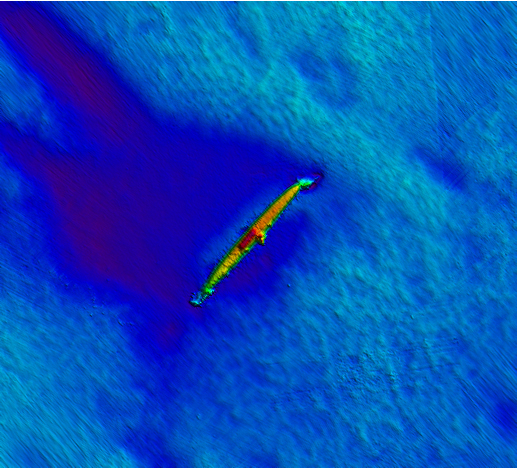 Rathke fired at Icarus, but the torpedo either malfunctioned or hit the sea bottom. Lieutenant Commander Maurice Jester aboard Icarus reacted appropriately. He sent out five depth charges from the Y-gun, which damaged U-352 so badly they decided to play dead and lay still on the bottom, hoping to go unnoticed. Jester began dropping depth charges systematically and eventually forced Rathke to surface. As the crew of U-352 prepared to scuttle, several began emerging from the conning tower preparing to jump overboard. Fearing that they may attempt to man their deck guns, Icarus began delivering heavy machine-gun fire, which resulted in the deaths of several crew aboard the U-boat. 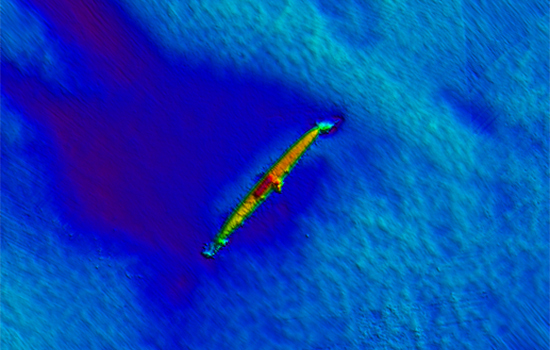 U-352 sank while the majority of the crew was able to escape. Icarus left the area for approximately an hour to await instructions on how to proceed. They then returned to the site and collected 33 survivors, one of which died aboard the Icarus shortly thereafter. The survivors of U-352 were later interrogated and remained in various prisoner of war camps for the duration of the war, often intermingling with survivors from U-701. To view additional site plans click here. To view additional dive slates click here.